Ellis Injury Law offers a full range of legal services throughout California. Our successful pursuit of justice over the past 20+ years has enabled us to open 20 California law firm locations. We handle a wide variety of personal injury cases, from car accidents and defective products, to construction workplace accidents and elder care abuse – and we are pleased to report a 99% track record of success for our clients. Our passionate attorneys file lawsuits, investigate claims, gather evidence, procure expert testimony and negotiate settlements on behalf of clients in the state of California. Andy Ellis and his team have obtained more than $350 million in jury awards and settlements won for clients. Our law firm’s diligence and impressive results have landed us among the Multi-Million Dollar Advocates Forum and the National Top 100 Trial Lawyers. Our accomplishments have been recognized by Best Lawyers Magazine, Super Lawyers, and the American Board of Trial Advocates. A good bulk of our clients are people in need of a strong Riverside car accident lawyer. California is one of the most dangerous places in America to drive, with over 3,000 fatalities and 10,000 injuries on our highways and roads each year. We have seen everything from traumatic brain injuries and lost limbs to spinal cord damage and wrongful deaths in this type of case. No case is too big or too small to receive attention from a compassionate legal team who is concerned about your well-being and financial viability in the coming months. Through personal, professional service, we help people get their lives back together following serious injury. Holding negligent parties responsible for the harm they’ve caused is an important part of the process, as well as your legal right. We’ll cover all possible legal options, answer any questions you have, and pursue the highest possible compensation. Many people wonder, “How can I possibly afford an attorney when I have such exorbitant medical bills as it is and I haven’t gone by to work yet?” The answer is simpler than you may think. Good lawyers who have been in the business for a while and know what they are capable of achieving through settlement negotiations and the courts offer their services on a contingency basis. This means YOU PAY NOTHING UPFRONT. 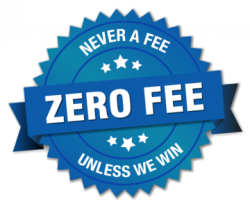 Instead, you pay a pre-arranged percentage of the compensation we win for you. That way, you can rest assured the lawyers are working hard because they want to be paid for their time and effort, too. Why not choose the best legal representation available to you? Remember, we only work on a contingency fee, so you have nothing to lose and everything to gain by contacting our Riverside personal injury law firm location to learn about your legal options. If you’ve been injured in a car accident, suffered an injury on someone else’s property or been hurt in a slip and fall accident, you have the right to take legal action. A Riverside personal injury attorney will make sure that you are equipped with a knowledgeable lawyer that will fight for the settlement you deserve.